When conducting usability testing, what do you measure and why? How do you capture metrics and what you should be measuring? This seminar covers Usability Testing and usability testing metrics specifically. What are the things you should be measuring? How do you measure qualitative vs. quantitative data (e.g. satisfaction vs. effort)? We will review usability testing observation best practices including questions like: Do you measure time on task every time? 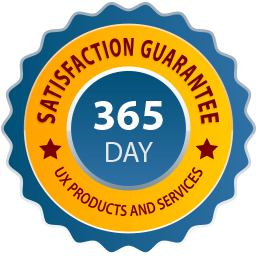 What do you need to do a good job capturing metrics if you are doing "quick and dirty" discount usability or "guerilla" testing, without undermining your own efforts? What should you measure and what are the most common usability metrics to capture? Observable Data: what can be quantified? What do you need to capture in usability testing? People new to usability testing or want to conduct rapid usability testing; usability managers; user experience team; anyone responsible for user advocacy or usability testing.